How often should you replace your Vacuum Cleaner depends on what you have. If you have a Vacuum Cleaner you bought from the “Super Store,” then you should replace it every 3 to 5 years. I’ve only seen a few Super Store vacuum cleaners live up to or past 5 years and they were mostly Dyson. If you want a Vacuum Cleaner that lasts a long time, then you might have to spend more money on it. 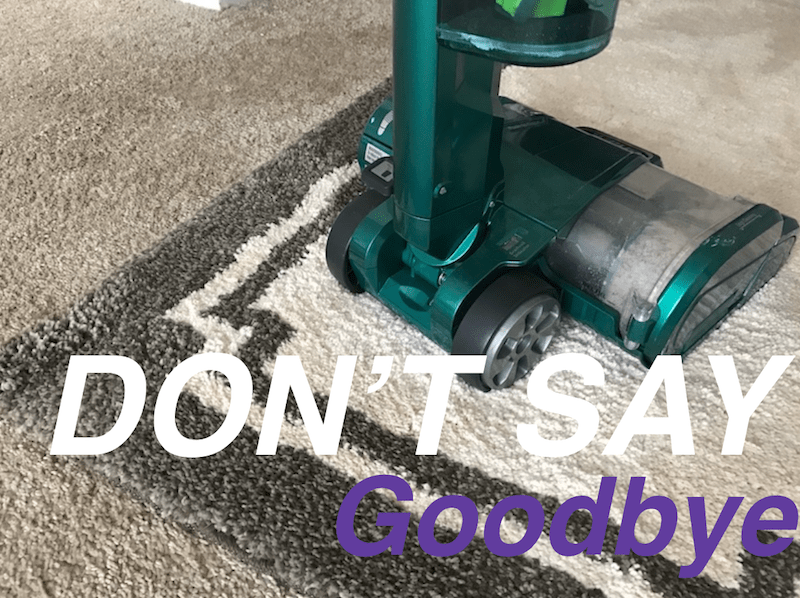 If you want a Vacuum Cleaner that can last and take whatever you can throw at it and won’t break the bank then maybe consider looking at this Post I did Here. If you think you need a new Vacuum Cleaner then you probably do. Your vacuum might not have the suction it use to or you can see pieces being left behind is a good indication you need a new vacuum cleaner. What Vacuums Last the Longest? Despite what the TV commercials say the best vacuums to get are not the bagless kind. The vacuum cleaners that I see last the longest are the bagged style ones. Even though Dyson’s look amazing and don’t lose suction, they have too many plastic parts and can fall short just like other vacuums. Many people think Dyson is the holy grail of vacuums, but they’re not. The problem with these vacuums is that they can be hard to find. You’re not going to find these vacuum cleaners at your nearest Super Store. I’m a big fan of Sebo Vacuums 9679AM Airbelt K2 Kombi Canister Vacuum and highly recommend it, even the reviews for it is good. These vacuums can last a longer than many of the other Super Store style vacuum cleaners. But if money is tight then consider what I have to say below. For robot vacuums, you can expect them to last 3 to 5 years depending on how well you take care of them. To keep a robot vacuum running for years you should also pick up any cords off the ground and remove anything that it gets stuck on. Over time these odd things can wear away at the brushes and could even knock a sensor lose. More Affordable GOOD Vacuum Cleaners? The saying “you get what you pay for” is very true when it comes to vacuum cleaners. But paying an arm and a leg for a vacuum cleaner might not be everyone’s goal. If all you want is a cheap vacuum cleaner that has a good lifespan and tough, then you ought to consider a Shop Vacuum. Shop vacuums tend to be more powerful and cost-effective than other household vacuum cleaners. I even have a little guide about this here. How Long Do Dyson Vacuum Cleaners Last? Dyson does make a good vacuum cleaner; let’s be clear on that. But they’re not the best. In most cases, they don’t lose the suction that they say in their ads, but they do still have about the same lifespan of an average vacuum cleaner. I’ve seen Dyson’s last as long as 10 years, but they were properly maintained. Proper Maintenance is the biggest key for any vacuum cleaner if you want it to last. This means replacing the filters and cleaning the machine often. If you don’t know what to do, then go to your local vacuum repair shop and ask them about maintenance on your vacuum cleaner. One of the biggest reasons I see vacuum cleaners not lasting long is because people do not use the proper machines. A person living by themselves will make an entirely different mess than a family with a lot of pets and children. Buying the proper vacuum cleaner is important to keeping it lasting a long time and cleaning your home. A person living by themselves would be okay with a BISSELL 9595A Vacuum with OnePass. A Small Family might be better off with Dyson 206900-01 Ball Multi Floor Upright Corded Vacuum. A Family with pets needs a vacuum cleaner that holds up to pet hair like the Dyson DC50 Ball Compact Animal Upright Vacuum Cleaner. If you have it all (pets and a big family with kids) then you need a good shop vac like this one and a general purpose vacuum like the Shark Navigator Lift-Away Professional with Dust-Away & 2 Microfiber Pads (NV356E). This 2 vacuum combo is necessary for the stuff both vacuums will get put through.